April 23 is the day of Saint George, Patron Saint of Explorers from around the world and in general of every Scout fellow. 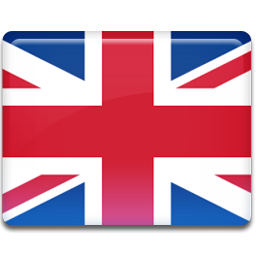 The knight George is the symbol of courage and adventure that should characterize all of us who try to do our best in every situation. Robert Baden-Powell was also inspired by St. George and compares the explorers to the old medieval knights: for this reason before a scout promise he or she usually lives a vigil of arms just like the knights. 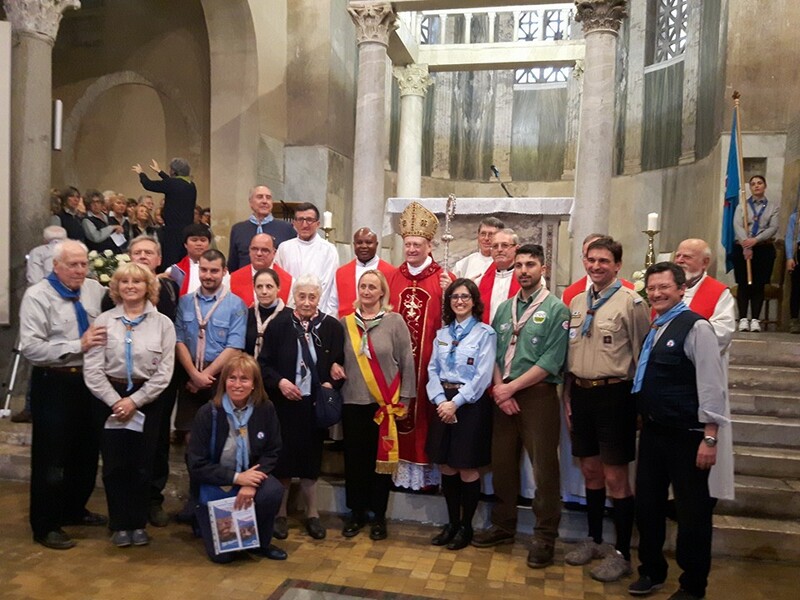 Every year on St. George's Day scouts of all ages meet in the church of San Giorgio in Velabro in Rome, for the renewal of the Promise scout. On the first day of each year the MASCI participates in the March for Peace organized by the Community of Sant'Egidio in Rome. 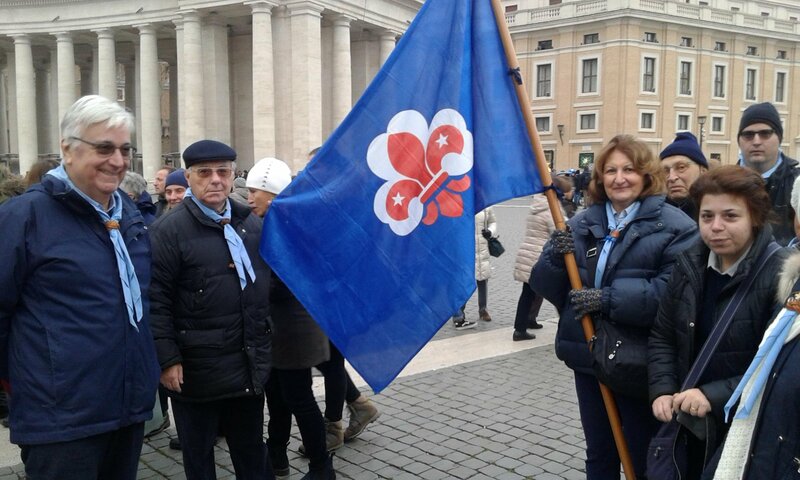 Also last Tuesday, January 1st, therefore, under the sun of a cold Roman day, some of us met as usual at the start of Via della Conciliazione, with many young and old people from all over the world to give a testimony of Peace. Our group moved behind our blue banner with the white and red lily of our movement. Around us multicolored flags of Peace, posters with messages against all wars, signs of every kind of country. On December 16th the Light of Peace from Bethlehem arrived in Rome waiting for about 800 people, scouts of the MASCI of the AGESCI and the FSE, gathered to bring the flame to the Papal Basilica of St. Peter's in the Vatican, giving it as it has been for many years to the Holy Father Francis. All together in the parade they walked Viale della Conciliazione to get to the feet of the sand nativity scene, the Sand Nativity, created by the artists of the venetian city of Jesolo. 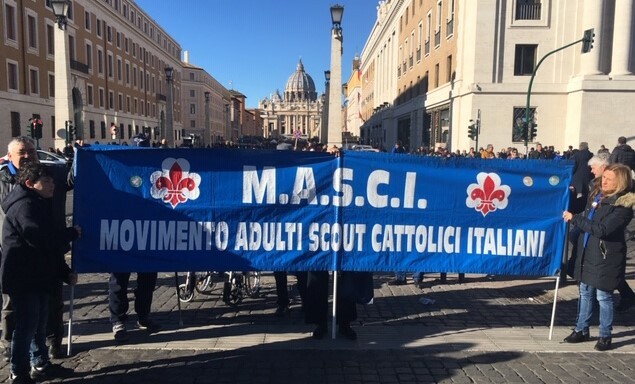 It was Cardinal Angelo Comastri, archpriest of the papal Basilica, who received the precious gift from the hands of two Roman cubs representing all the Italian Catholic scout movement. A holy Mass then saw the whole delegation gathered in prayer, thus sealing the event with the community prayer.